Learn from our experience in roofing, eavestrough, windows and siding repair and maintenance. We have a lot to share! Roof, Siding and Eavestrough repair process videos. The severe strong winds, snow and summer storms in Burlington can take a toll on your roof. When it happens, call our expert roofers for help. From the elegant tile roofs to wood shake, shingle and spray foam installations, there’s no style or method of roofing that the team at D’Angelo and Sons hasn’t worked on multiple times. We bring experience and skill in Burlington when it comes to matters roofing. We can repair extensive roof leaks, install siding and clean clogged gutters. We can replace your existing gutter system with a new, more effective alternative that wouldn’t require regular cleanings. Whatever your needs are, we’re always happy to assist. D’Angelo and Sons is here for homeowners in Burlington with exterior solutions that are both efficient and physically appealing. In business since 1981, we’ve built our reputation on quality and customer service. Regular roof repairs and maintenance is important because it can catch serious problems before they get out of hand. We take pride in helping Burlington homeowners secure their roofs and get the maximum lifespan from their roofing system. Whenever there’s an unexpected storm or strong winds that make certain components of your roof fall out of place, we can perform a thorough inspection and fix issues that are identified to prevent further damage. We understand that your home is one of the most valuable assets you own. And the roof over your head should do a great job at protecting your family. We have trained, friendly and courteous professionals with plenty of skill to handle any type of installation or repair job needed. Get in touch with us today for help. In Burlington, some roofing problems require roof repair while others require roof replacement. The decision should only be made after a thorough inspection of the roof. A new roof is necessary if the old one is dilapidated to a point that it is unsafe (it can cave in any moment), whenever new energy efficient technologies come along, whenever the old roof is a health risk such as if it has mold and mildew, and whenever you want to increase the curb appeal of your home (such as whenever you want to sell it). At D’Angelo and Sons, our experience and certified team is up to the task of replacing your roof. We only deal with top roofing manufacturers such as GAF Materials Corporation, CertainTeed, Building Products of Canada Corp., and Owens Corning. These manufacturers offer quality roofing solutions and long warranties. On our part, we offer the best workmanship warranty in the industry. You should enlist our services for Burlington roof leaks because our team has the relevant training and experience to do a complete assessment, a service we offer free of charge, to allow us to pinpoint the cause of the leak and to then fix it. After the inspection, we will give you a detailed estimate of the scope of work – you will not get nasty surprises once the job starts. Leaks are often resolved by simple repairs, but if the roof is too bad, we will recommend and carry out a complete overhaul. Once the repairs begin, we will engage you every step of the way through the supervisor who will be assigned to the project. We undertake to protect the sanctity of your home and to complete the repairs within the shortest time possible. We clean up after every day’s job and we do a major clean up once the project is over. Burlington weather is unforgiving and although metal is one of the most durable roofing materials, the elements can cause quick deterioration. You check and then repair minor metal roof issues like holes to prevent further damage that would require more money to fix. Regular maintenance protects your home from water damage. A good roof means better air circulation, which leads to lower energy costs. At D’Angelo & Sons, we provide comprehensive metal roofing services to Burlington residents, starting from free inspections, repairs, installations, emergency roofing services, snow and ice dam removal and clean up after the work. We will give you a 15% discount if you purchase any 3 of our services. We do not sub-contract any of the work and we offer one of the best workmanship warranties in the industry. We have an A+ BBB rating and we are Green Roofer Certified and an Owens Corning Preferred Contractor, which combined with our 30+ year longevity in the industry is proof that we are credible and reliable. Many commercial buildings in Burlington have flat roofs because of their many benefits. Flat roofs look cleaner and they create usable space that you can use for such things as rooftop restaurants and green areas. Constructing a flat roof is cheaper compared to installing a sloped one. Inspecting a flat roof is also easier, as is maintaining and repairing it. The roofing materials used for flat roofs today are durable and the roofs are wind-resistant, which is important in Burlington which has a humid continental climate characterized by cold, somewhat drier winters and warm, humid summers. At D’angelo and Sons, we have experience installing and repairing flat roofs. Our team has the training and experience necessary for the job, as well as the equipment and tools needed. We only deal with top flat roof material suppliers like GAF Materials Corporation. This, combined with our industry leading workmanship warranty, guarantees you a durable roof. Roofing emergencies require immediate attention. A damaged roof is a security and safety risk and exposure to the elements could lead to property damage and diseases. At D’Angelo and Sons, we offer emergency roof repairs to Burlington residents 24 hours a day, all year round. Our team is highly trained to handle any type of roofing emergency, be it a shingle roof or a flat roof, and it has the vehicles, tools, equipment, materials, and supplies needed for the job. We also handle roofing emergencies involving chimneys, ventilation, mold and mildew removal, flashing, skylight, roof sealing, and eavestrough. We guarantee quality workmanship, backed by an industry-leading workmanship warranty, at competitive rates. We carry WSIB work insurance, meaning you will not be held liable in case of an accident. We do not sub-contract, which means we have better control of the emergency roof repair. Call us at (905) 387 3000 and we will be there in a jiffy. At D’Angelo and Sons, we have been installing and repairing cedar roofs for over 30 years now. When you contact us about cedar roof repairs, we will first do an inspection. Below are some of the signs we will be on the lookout for. You need repairs or a complete replacement if your roof is leaking. This is the most common problem with cedar roofs. Wrapping (curling or cupping) and distortion happens with exposure to UV radiation, heat, rain, and other natural forces. If the cupping and curling exposes the underlayment, the roof needs repair or replacement. Debris and storm damage causes splits, in which case you should replace the damaged shingles. Although the humid continental climate is moderated by Lake Ontario, Burlington still experiences climate extremes. We also look out for rot, moss, and algae which are as a result of water and sun exposure. The inspection is FREE of charge. If your Burlington house has an attic, you should ensure you have sufficient attic ventilation. A well ventilated attic creates drier attics in the winter and cooler attics in the summer, which is important given the extreme weather conditions in Burlington. A dry attic is important because condensation can lead to the waviness and bucking of the deck and the shingles and it can lead to the rotting of the roof deck, destroying its ability to hold nails and to carry loads. A cool attic in summer months leads to energy efficiency and indoor temperature extremes. At D’Angelo and Sons, we work with the 2 types of roof ventilation namely exhaust vents and intake vents. We install and maintain attic ventilation and we also deal with attic ventilation emergencies. When you call us, we will give you a FREE inspection to determine what your attic ventilation needs. We offer workmanship warranty on our attic ventilation service. In Burlington, asphalt shingles are popular because of their rot resistance, their airtight interlocking seams, their easy and quick installation and repair (no specialized tools or preparation is required), their durability even under harsh weather conditions, their aesthetic value and slow degradation, and their low weight, among other benefits. There are several companies doing asphalt roofing in Burlington, but some are better than others. You should go for a company that has experience with asphalt roofing, that is reliable, that offers quality workmanship, and that has competitive rates. At D’Angelo and Sons, we do not cut corners. We don’t even outsource any of our services. We carry WSIB work insurance to protect you in case of an accident in your premises. We only work with asphalt roofs from top manufactures like Owens Corning and GAF and we offer workmanship warranty .We have been in the business since 1978, in which time we have done thousands of new roofs and repairs. D’Angelo and Sons is a strong family business serving your community since 1978, with pride, quality and craftsmanship. We’re offering a full suite of exterior home services with a focus on our core expertise in Roofing, Siding, Eavestrough, Gutter Repair and Cleaning in Burlington. Our process involves having a representative meet with you at your home to assess your current needs. We fit to your schedule to find a time and date that work for you. When your representative arrives, they begin inspecting your home for any existing damage as well as looking for any areas that might be of concern in the future. They inspect your home with you, so that you have the opportunity to ask any questions or address any concerns that you may have. The next step is the estimate, which includes the time, cost, and materials that will be needed. We want you to be completely satisfied and comfortable with our abilities and us before you sign any contract and this process has been effective in creating a worry-free system. Once the contact is signed, our expert contractors will come in to begin work on your home. Again, this is done on your schedule for you convenience. We have dedicated project managers who are supervising the work happening on your home, ensuring a stress-free experience. Once the work has been completed and inspected, we take care of the clean up and disposal of any old or excess materials. Depending on your needs, we may leave tarps or protected covers over areas of your home, but will take care of removing those as well. You’ll receive a certificate of guarantee upon completion so that you can rest assured that we have properly repaired or replaced your home. We always follow up with a call or email to ensure your satisfaction and may also ask for you to provide us with a testimonial, if you’re willing. We have hundreds of satisfied customers and are waiting for you to join them! 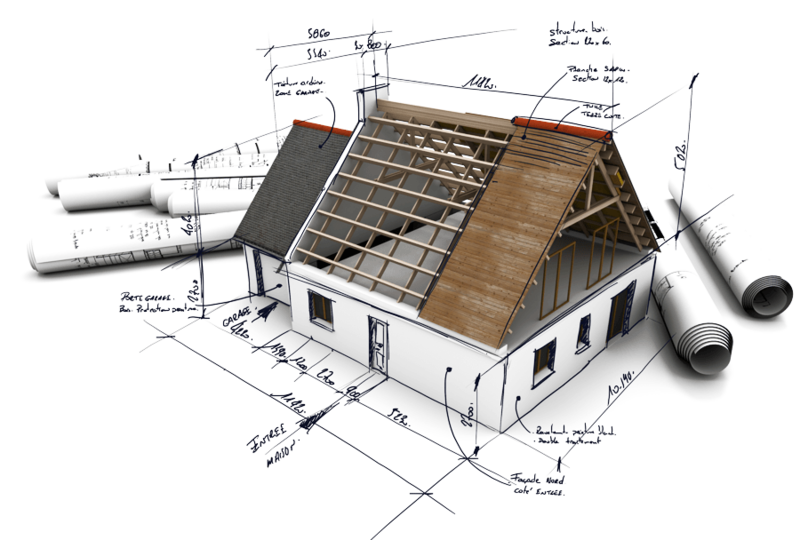 Our main goal is to maintain the safety, structural integrity, and overall aesthetic of your home. Keeping the roof, siding and eavestroughs in good repair all contribute to this goal. Living in Ontario is a beautiful experience—but our homes are subject to a wide variety of weather conditions! We have beautiful sunshine in the summer, ice and snow in the winter, as well as a wide range of humidity, wind and temperature as the seasons change. This weather affects our homes and makes them susceptible to damage. Roofs and siding that fall into bad repair can cause water damage and heat escape. Broken or clogged eavestroughs can also cause water damage, wet basements, mould and unwanted animals in your home. The effects of these can be costly. They also look bad and can de-value both your home and neighbourhood. We provide roofing services to either repair or replace a wide range of roofs. This can involve everything from the shingles, ventilation fans, skylights, and plywood. We can also manage any concerns about the siding on your home, whether it’s vinyl, wood or aluminum. Lastly, we can repair or replace the eavestroughs around your home, including the soffit (undersides), fascia (band of metal that runs under the edge of the roof), eavestroughs (gutter fixed right under the edge of the roof), and downspouts, according to your specific needs. Keeping your home well-maintained from the exterior contributes to keeping Burlington beautiful. Contact D’Angelo and Sons today. We will work with you to repair or replace the roof, siding, eavestrough, or any combination of the above, on your Burlington home. Twice – the # of times we confirm meetings. We assess & provide a full overview of repairs required & costs. We confirm the repairs & start date. A roofing project manager is assigned. Our experts begin & complete – repairs on time & within budget. Upon completion, the site is cleaned. You get a certificate of guarantee & follow-up phone call. … and We Do It Right! No matter what’s involved in your roofing project, we have the knowledge and the experience to get it done right. We know that those of you living in the “Golden Horseshoe” take pride in their homes and neighbourhoods. With a booming consumer and industrial market, as well as some of the best hiking in the world along the Bruce Trail and Niagara Escarpment, it has the perfect balance of city living and environmental vitality. You care about your family, your house, and your city and want your beautiful home to reflect that. D’Angelo and Sons offer a wide variety of exterior home services, including replacing or repairing the roofing, siding, and eavestroughs on your home. With over 35 years of industry experience, our representatives, contractors and managers are all experts at what they do. To ensure the highest quality standards, we are continually training to ensure that we’re staying on top of best practices. We’ve got the highest certifications in the industry and offer certificates of guarantee for our work. We want you to have a worry-free experience working with us and absolute satisfaction after the work is done!